My baby quilt shop is officially open! I hope you'll hop over and take a look if you're shopping for a baby gift. I did my best to put together fabrics that are cheerful and fun, and I tried to keep things modern with the colorblock design. 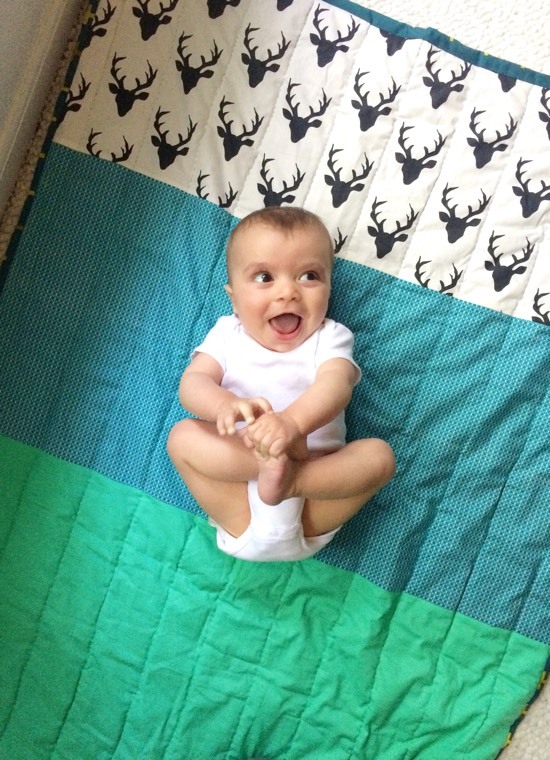 The quilts are generously sized at 36x48 inches, so hopefully, they can stick around when a baby becomes a toddler and even a little kid. The quilts are all limited edition based on fabric availability, so I'll be adding new designs to the shop as time goes on. I've had so much fun creating each quilt. I truly hope you like them! I love your fabric designs. So not my grandma's quilts and yet a heirloom. Design and prosper!